… the concentration of atmospheric carbon has risen to its highest level in 800,000 years. The concentration of carbon dioxide in Earth’s atmosphere reached 405 parts per million (ppm) last year, a level not seen in 800,000 years. 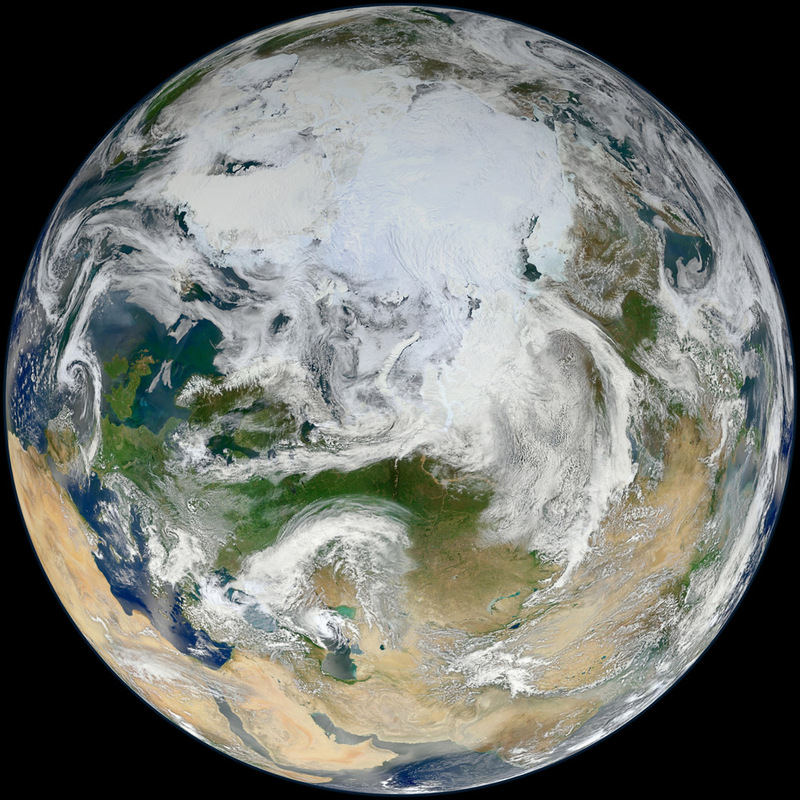 How does atmospheric carbon inform climate change? Use our activity to find out. … the Chesapeake Bay, once the poster child for environmental degradation, is now the poster child for successful, large-scale restoration. 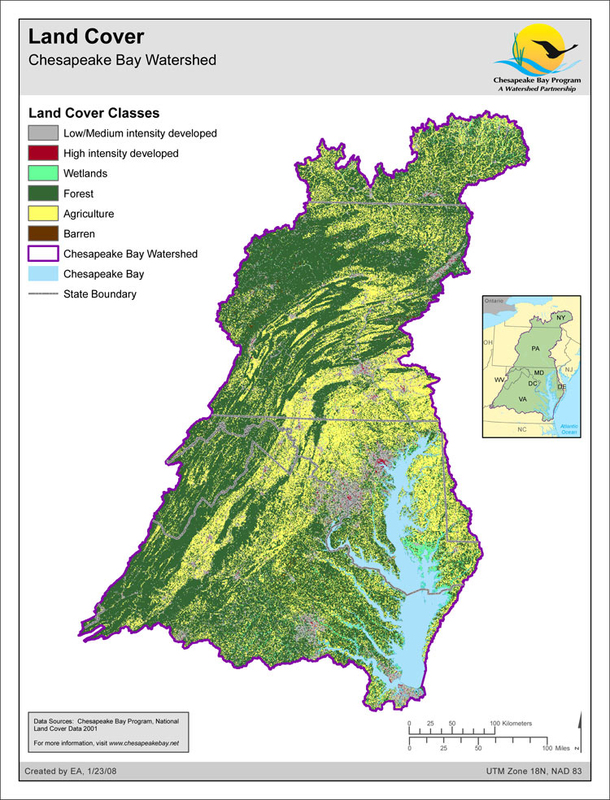 This map was created by the Environmental Protection Agency to delineate the Chesapeake Bay and the land cover that can be found in this area. Chart progress with downloadable resources from our Chesapeake Bay map gallery. … how to trace the legacy of ALS through the deep roots of the Cumberland Gap. Read of the week! 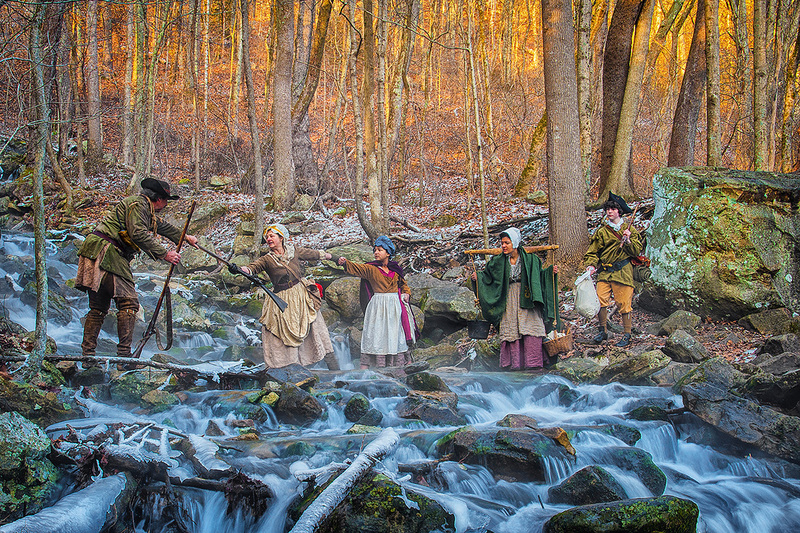 Living history interpreters at Cumberland Gap National Historic Park bring the stories of early European pioneers to life. … spicy peppers may help save imperiled prairies. 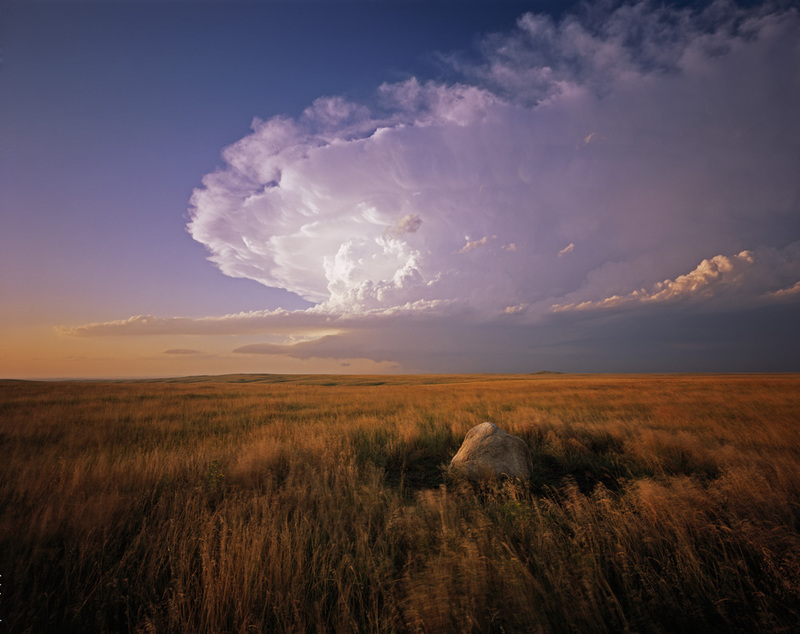 The amazing grasslands of the Midwest are threatened by hungry field mice. A powder made from ghost peppers is repelling them. 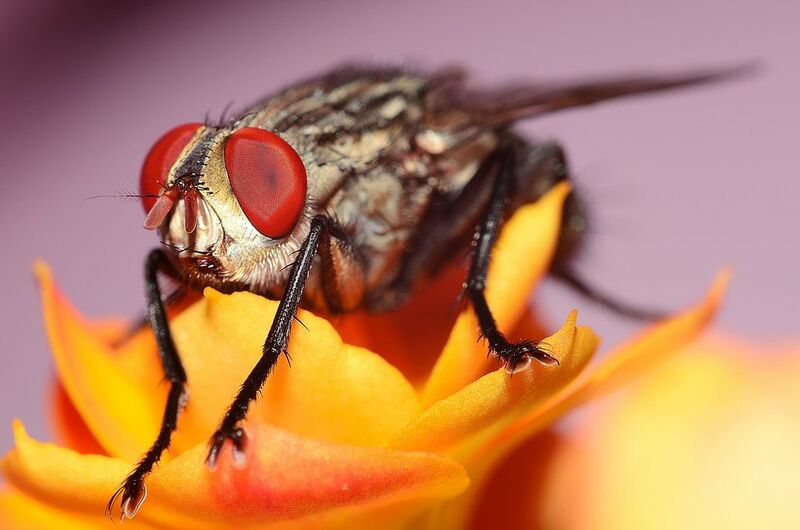 … insects speak in different dialects. What other species can learn each others’ dialects? … a court decision has strengthened Native American rights to aquifers in the wild west. … Vikings cornered the market on Greenlandic ivory in the early Middle Ages. CLICK TO ENLARGE! The Viking influence stretched across much of the Northern Hemisphere. How did the Vikings get to Greenland? … a tiny Caribbean island is planning on banning single-use plastic. 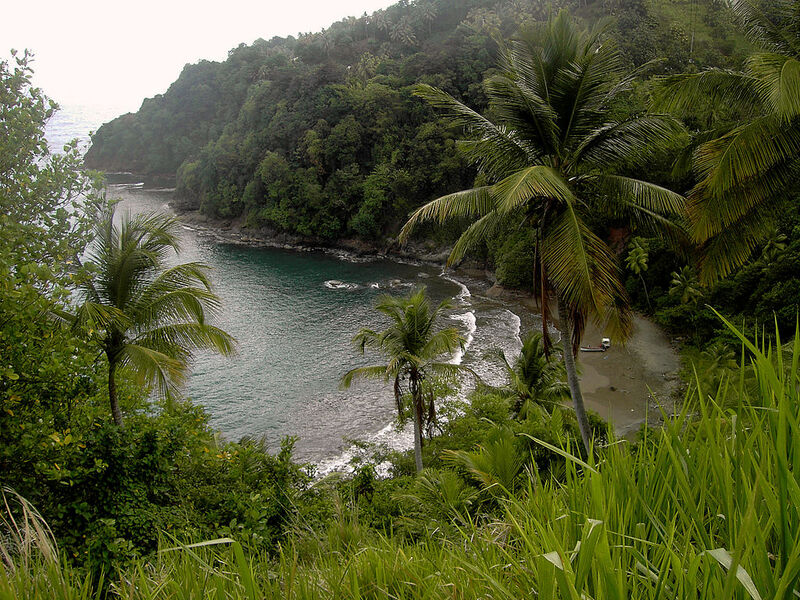 Nicknamed “Nature Island,” Dominica plans to fully ban all common plastic and styrofoam single-use food containers by the end of the year. Take the plastic pledge, and print your own map of Dominica here—leave a lot of areas to color green. … rich nations benefit from global fishing much more than poor ones. 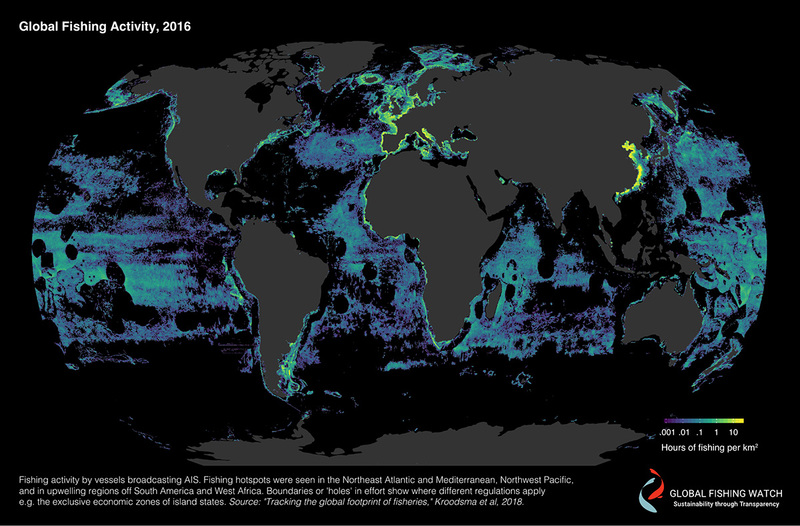 Where are the world’s fisheries? Why do you think wealthy nations are better able to exploit ocean resources outside their own territorial boundaries? Use our activity to help students better understand global fisheries. … the strange story and fraught future of the most famous toxic body of water in the U.S. The Berkley Pit is a former copper mine near Butte, Montana. The pit itself is the deep blue basin in this photo, while the aqua area is the mine’s tailings pond. The water in the Berkeley Pit has high levels of copper, cadmium, cobalt, iron, manganese, and zinc, along with concentrations of arsenic. Take a look at the environmental impact of mines around the world with our satellite image gallery. … how levees can actually increase flooding, for some communities. Next Next post: How will you tell your students about YOU?